If you would like to be notified of new workshop dates and events please subscribe to my newsletter. Don't see a date to suit you? You have the option of choosing your own date. See my tailored workshops flyer. Find out what people think of my workshops. Best friends/couples day: Tailored for two people, this includes tuition in leaded panels, (£350 per day), copper foil, (£300) or stained glass mosaics, (£275). It's an all-inclusive day for two people with glass, tools and materials, plus all refreshments and lunches. The cost is £350 for the day. glass tools and materials, plus refreshments and lunches. Weekdays and weekend dates are available for bespoke workshops. Please contact me to enquire about dates available. In these classes we use the centuries old method which has hardly changed since the 12th century. 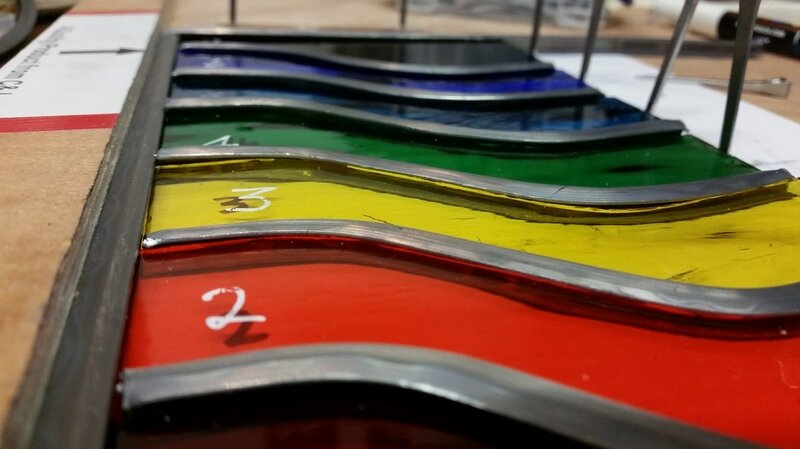 A panel or stained glass window consists of pieces of coloured glass held together strips of lead came which is then soldered and cemented to create a weatherproof window. This refers to the method where each piece of glass is wrapped in copper foil before being soldered together. This method is generally used for making gifts and smaller pieces such as sun-catchers. Thought to be invented by Louis Comfort Tiffany who was a prolific maker of lamps. 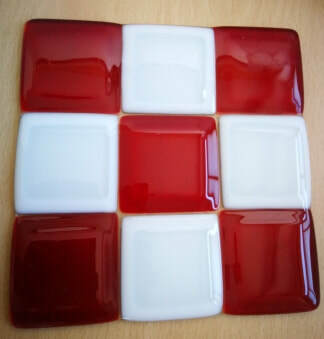 This is the process of creating a design or pattern using small pieces of stained glass adhered to either a mirror, glass sheet, vase or wooden shape. This is the technique of joining two or more pieces of glass by heat in a kiln. There are different glass fusing techniques such as “tack fusing” in which the pieces of glass are heated until they are just hot enough to stick together so retain their own original characteristics, and 'full fuse' where the glass is heated until it becomes molten. Fusing requires a special type of glass. 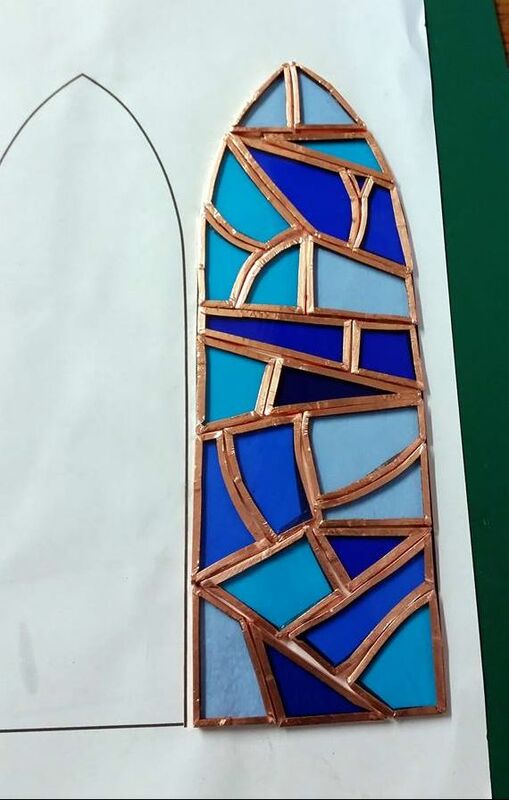 ​Copper foil and stained glass mosaic workshops are £50 per person and lead panel workshops are £175 for a 2-day workshop. - all glass, tools and materials plus refreshments and lunch are included.